Jill Of All Trades: Got embellished and how! 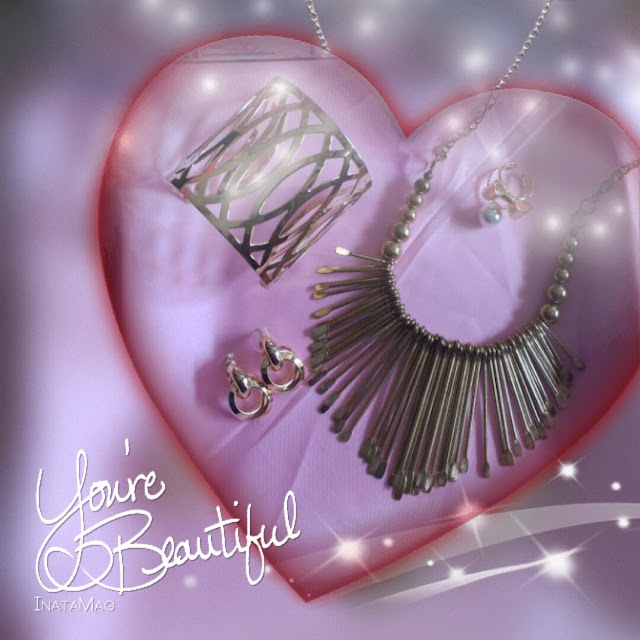 Life is too short to wear boring jewellery. 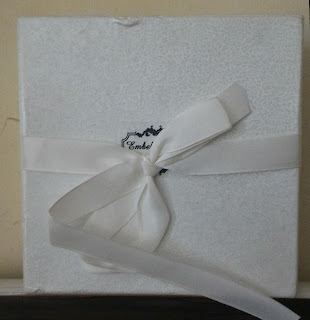 And as if the fairy godmother heard me say that aloud, a pretty box arrived in mail yesterday from Embellishment Box. A white box tied with a ribbon, with a pink satin cloth inside was enough to get me all curious and excited to find out what lies beneath! I had my fingers crossed for it to be something special. It had not one, not two, but four pretty pieces of fashionable jewellery! A hand cuff, necklace, pair of earrings and a ring - all in gold! Gold never goes out of fashion, that is something any fashionista, or even a normal shopaholic like me would know. The necklace has a very tribal feel to it, which is so in these days. And the hand cuff and earrings are absolutely elegant. The ring is a cute delicate one with a bow and pearl together. All in all, these would be perfect to go with any little black dress! You can subscribe for a monthly, quarterly, half yearly or annual subscription of the Embellishment Box. 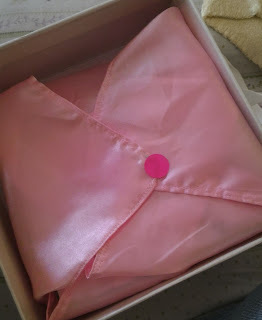 That's not it, they even have a Mini Embellishment Box for little divas, so if you're looking at getting something for your daughter, this is a great idea! Update: Winner for the giveaway has been announced on twitter. WOOOHOOO.. 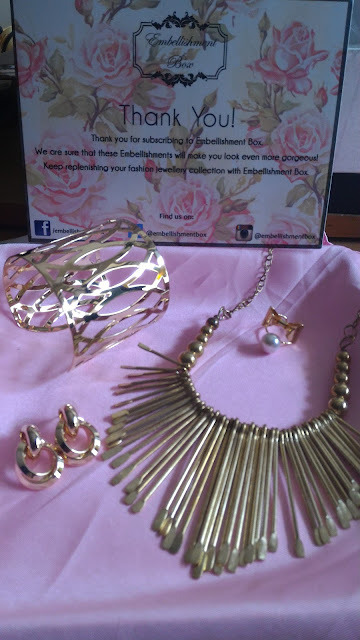 Thank you soooooo much for this amazing Giveaway... Wud Looooovvvee to win this amazing Embellishment Box.. In a country like India, consultant in mumbai is considered one of the basic requirements while constructing a property or building according to pre-specified principles. It is necessary to follow these principles for wealth, health, fame and prosperity in life. Though it has become difficult to follow each and every principle in the present era, it is important to make maximum use of tenets in order to achieve peace and harmony in life.